Lili's is another member of what I've dubbed the "mobile international food court" at the Northwest corner of Fairview and Maple Grove in Boise, along with Kickin Chickin and Giacinto's Italian Gourmet. Even though they've been they're the longest, they were the ones I tried last. Let's face it, we're not exactly having a taco truck shortage in the Treasure Valley, but some of the other stuff is pretty hard to find. 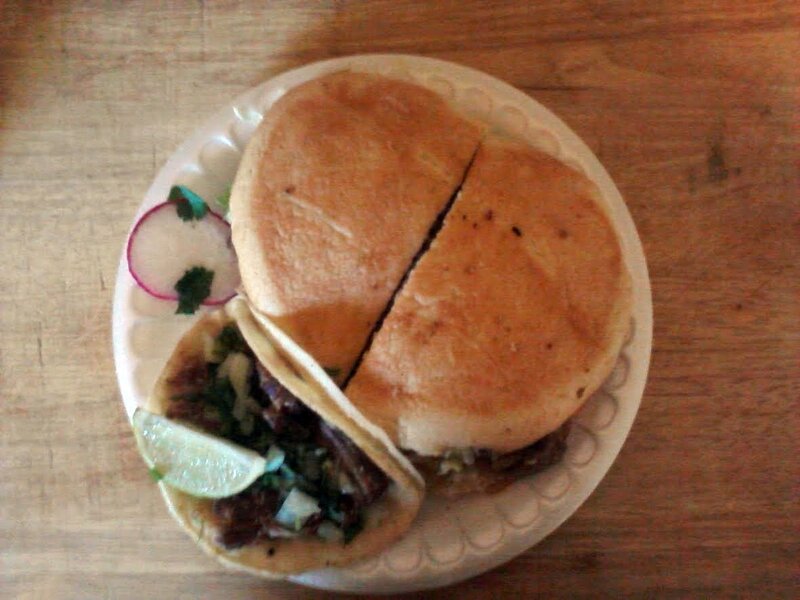 It was actually a little while back when I finally tried this one, about two days after my last trip to Lorena's, and I was still craving the type of torta I'm used to. 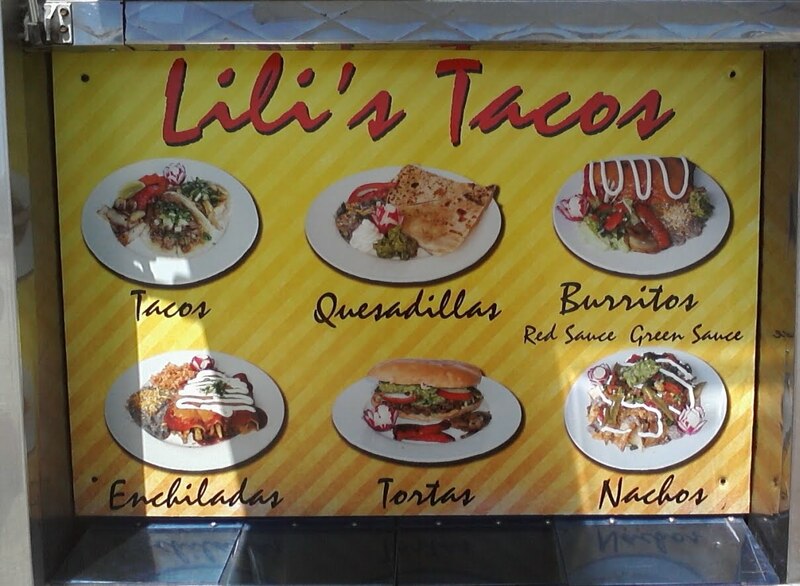 Lili's is yet another Mexican establishment that does not take credit or debit cards, so make sure you have cash on hand if you decide to try them. 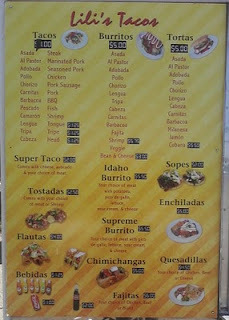 However, the menu is fairly diverse (fajitas?) and the prices some of the better ones I've seen. Just so we're clear, yes, Lili's still only charges a $1.00 per taco, except for a few "high end" varieties that are $1.25. The straight dollar taco is an endangered species (in fact I can think of only three other places around that do it, one of which is in Kuna and another of which I will never go back to), and it always makes me happy when I find them. And look at that selection of proteins! Tempted as I was, I stuck with my time-honored "Track's Taco Truck Test" (patent pending) and ordered a carnitas torta and an asada taco. Even though I wasn't on my lunch break this time, it was hot out and I decided to take my feast home and enjoy it in an air-conditioned climate. When I got the foil off the plate, I was very happy to see my old friend the telera roll. This was one of the more interesting tortas I've had, in that it had the type of bread I like but there were still beans involved. Still, I'm pretty open-minded about my tortas except when it comes to the bread (actually, I don't really dig that foamy avocado spread that Los Beto's uses either). The pork was good, the bread soft and the veggies fresh, so what more can you ask for? The taco was very decent as well, with big pieces of onion and just enough cilantro. 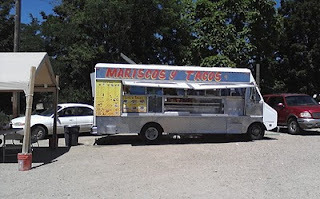 If you've got cash and you're in the area, I heartily recommend this truck (the best part being that if you're with someone who doesn't want Mexican, there's a chicken truck and an Italian truck right there, and THEY both take cards). 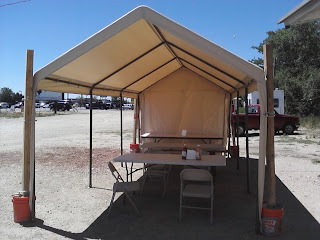 I've got two more places I need to visit and write-up before I will have touched on most of the worthwhile Mexican street food eateries in the Boise bench area, including another truck that also has $1.00 Mexican tacos and a decent selection of proteins. 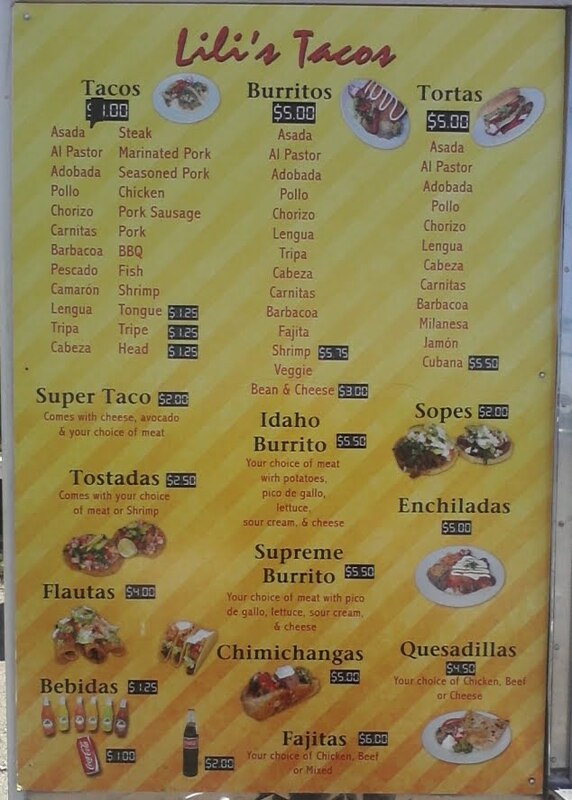 But this one also has $2.50 American-style tacos, a number of specialty tortas (including possibly the most evil one I've ever encountered), combo meals ($6.50 for five tacos, rice, beans and a soda! ), AND they take cards. Stay tuned!